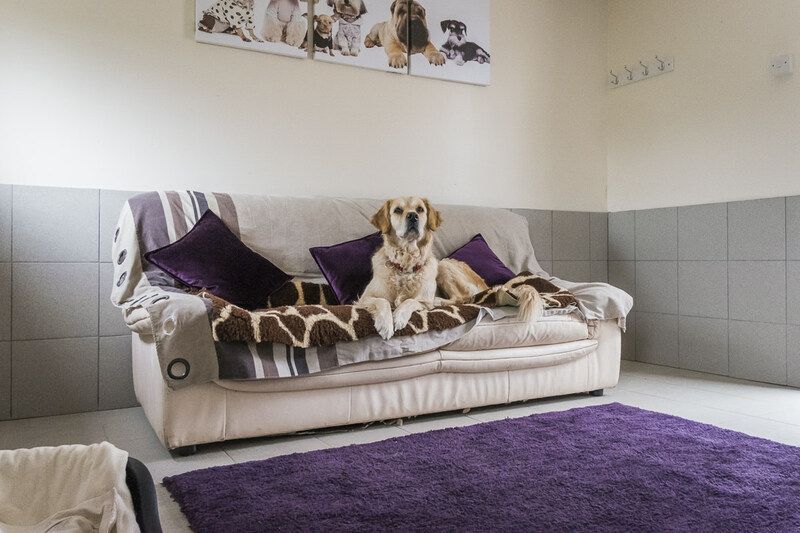 Enjoy luxury boarding kennels with our Supreme luxury apartments. 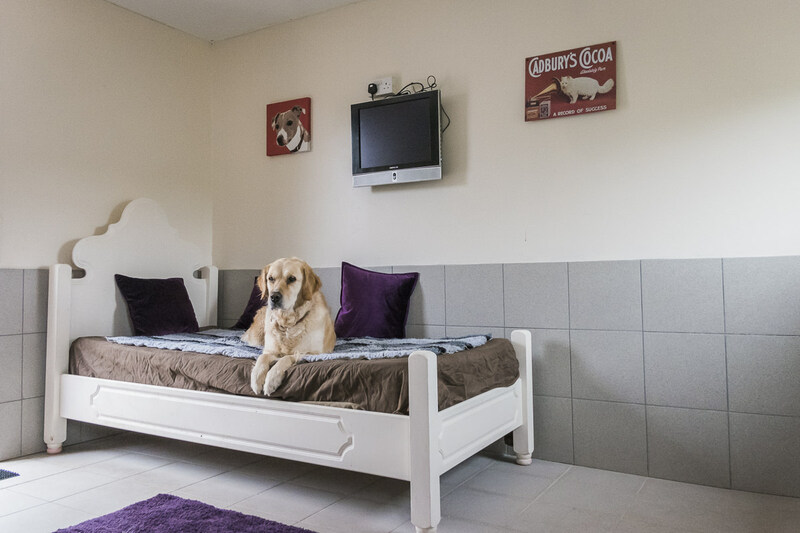 Your dog will love a real home from home environment with our supreme accomodation which has 16 square metre floor space and includes beds and a sofa to lie on to make the most of their stay with us. We even provide a TV and music in the apartment for your dog to enjoy whilst relaxing with us. Each of the limited apartments have been created to allow your pet the ultimate in dog boarding experience, offering a completely relaxing environment whilst you are away relaxing yourself. Easily big enough to accomodate a family of pets, if you have more than one dog in your family these are perfect for a couple of dogs. Recently redecorated with accent walls our luxury kennel apartments offer a real feeling of being at home. Due to the popularity of these apartments, we recommend contacting us to discuss your requirements. They are very popular, and space is always limited!